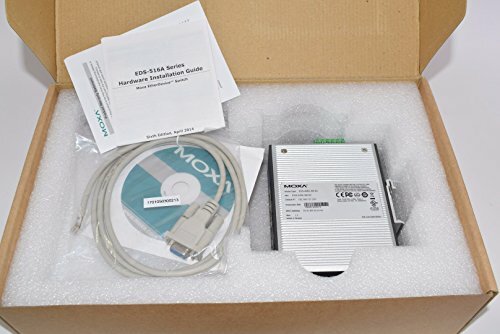 NEW MOXA EDS-408A-3M-SC Ethernet Managed Switch 3 Fiber Ports Moxa's EDS-408A 3 Fiber series are 8-port managed Ethernet switches with three optical fiber ports in a slim form factor design. The unique 3 fiber port feature makes the EDS-408A 3 Fiber series ideal for industrial applications, such as widely dispersed wind farm networks that need more long-haul transmission capability in a standalone Ethernet switch. Fiber transmission offers the benefit of greater EMI protection to prevent unstable network transmissions and data loss. The EDS-408A 3 Fiber series is designed for completely fan-less operation in a wide temperature range from -40 to 75°C. In addition, the switches support a variety of useful management functions, such as Turbo Ring, ring coupling, port-based VLAN, QoS, RMON, bandwidth management, port mirroring, and warning by email or relay.